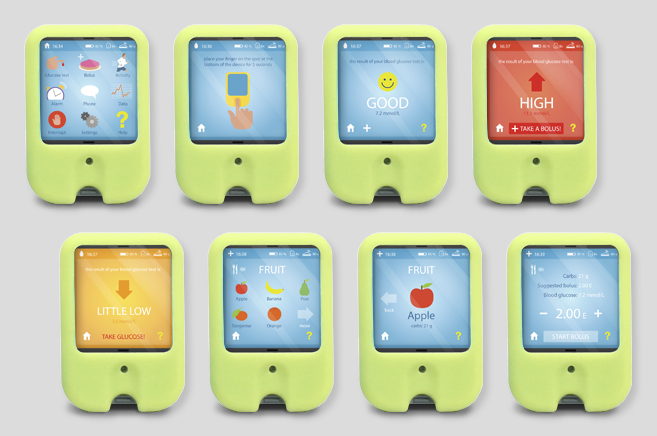 This is a website to show my design project for children suffer from Type 1 Diabetes. I’m Melchior van Voorden, a Dutch product- & concept designer, graduated from the Design Academy Eindhoven. 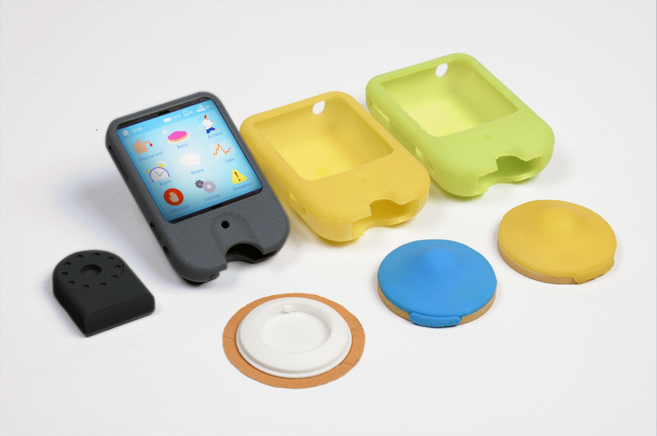 During the Dutch Design Week, end of October 2013, I presented my graduation project ‘Diabetes kit for kids’. 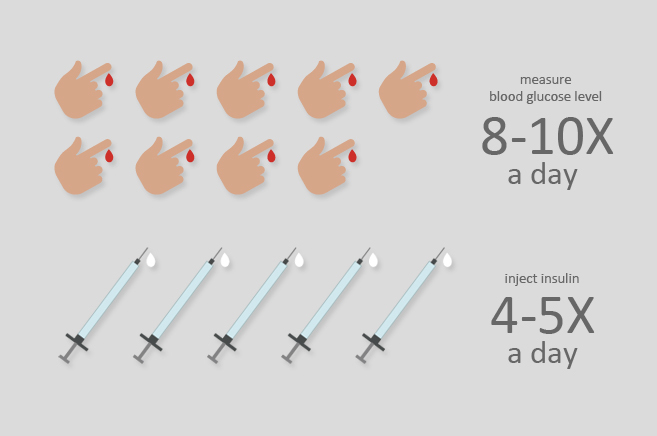 Worldwide, more than 490 thousand children (0-14 years) suffer from Type 1 Diabetes. 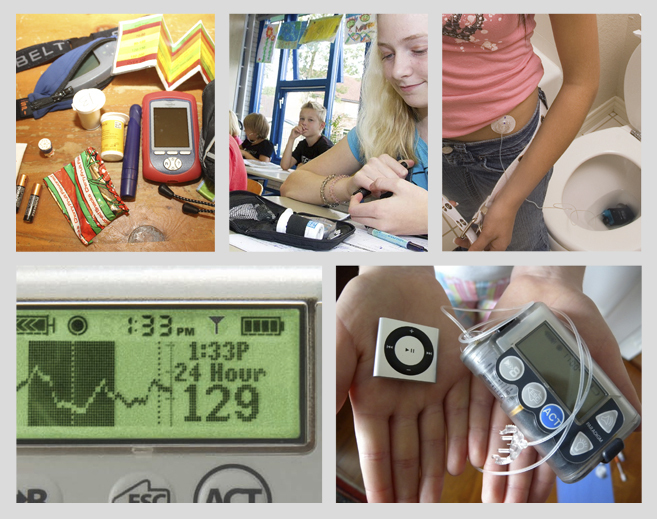 Current diabetes supplies are impersonal, difficult to understand and because of their medical appearance very confrontational – not very child-friendly. 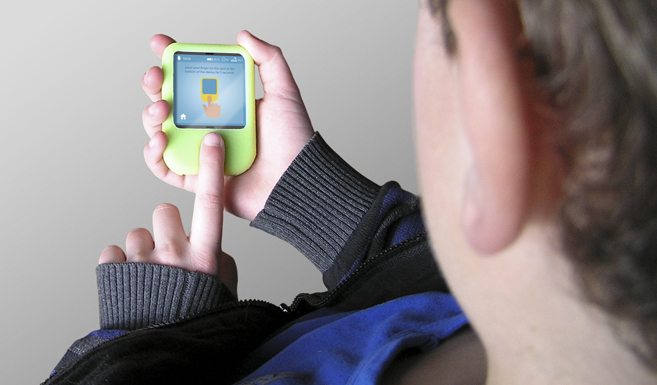 The appearance of these products often scare other children and even many adults. Children will often feel misunderstood, which also can lead to noncompliance. 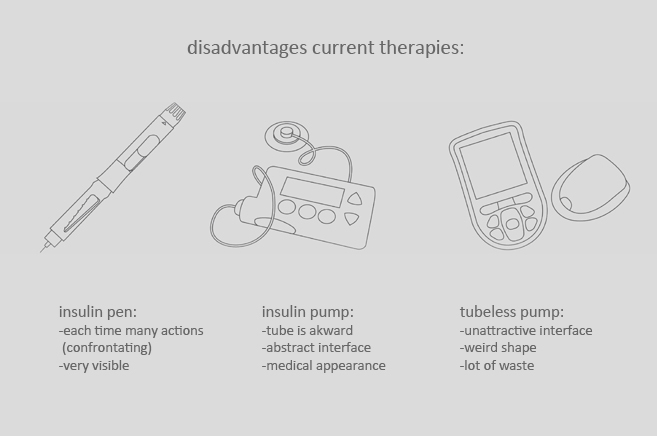 Most diabetic children have an insulin pump connected to their body with a tube. They always have to carry the instruments for a glucose check or insulin injection with them. 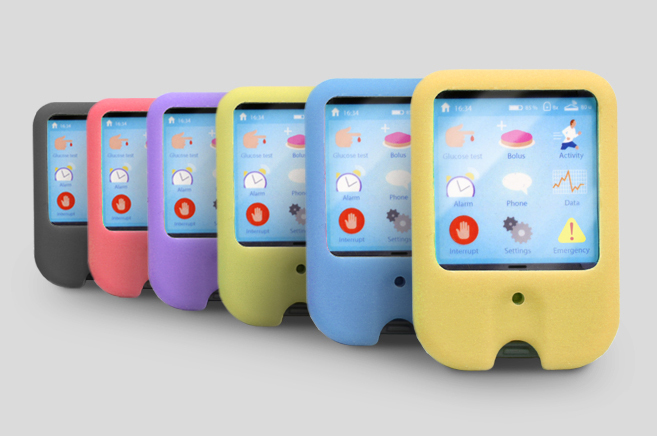 I designed a new diabetes kit for kids: with a discrete tubeless pump and a compact device with clear interface. 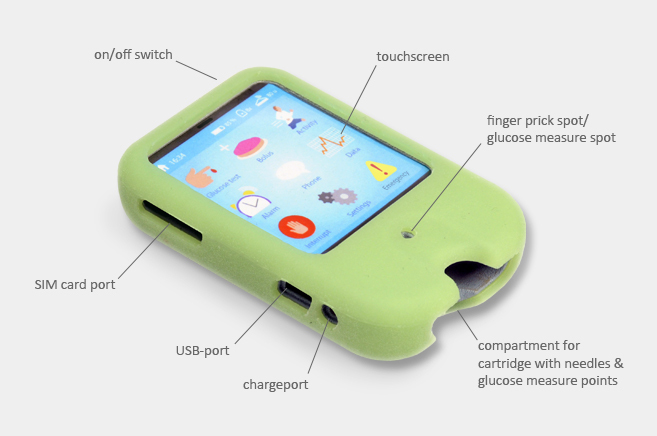 The device combines the remote control of the pump with a blood glucose meter, lancing device, nutrition information, telephone, personal data and a button for emergencies. 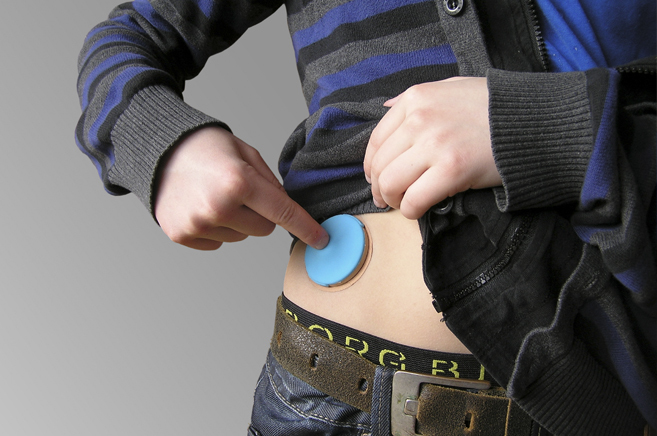 The appliance has space for a cartridge with needles and glucose monitoring points, so children don’t have to deal with loose needles and strips anymore. 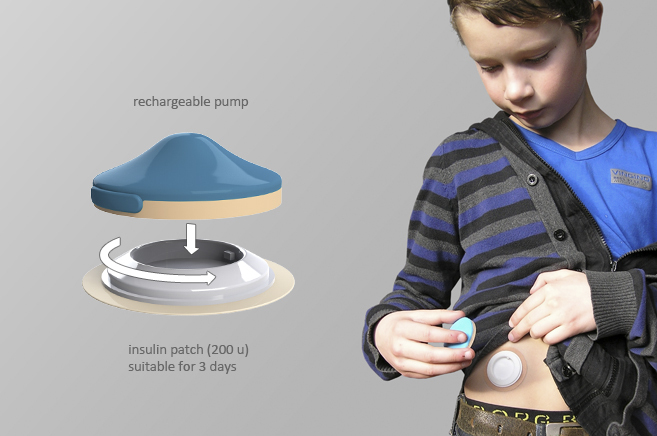 The rechargeable tubeless pump clicks in an insulin patch (replace each 3 days) and launches a small cannula in the body. During the day the pump gives a basic amount of insulin. 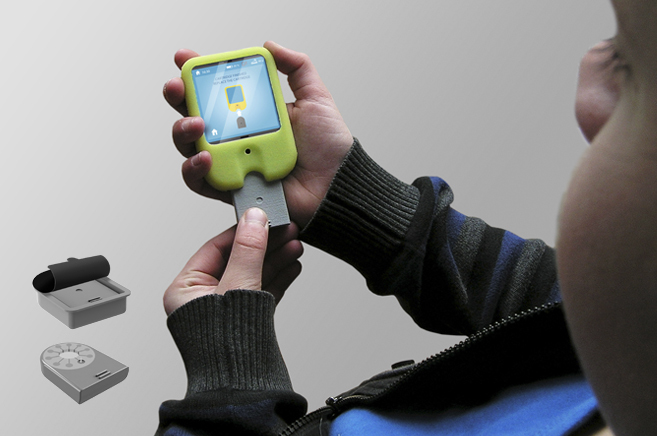 Using the device, you can give a bolus (extra shot of insulin). 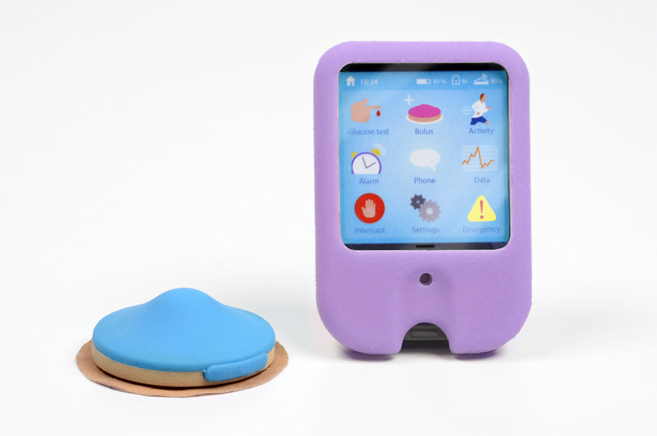 By making this diabetes set look more nice and friendly, and by reducing the visibility of the therapy, it doesn’t show a child with a sickness anymore. My name is Melchior van Voorden, I’m 24 years old and in december 2012 I graduated from the Design Academy Eindhoven. I got my Bachelor’s Degree in design with focus on product design. For me, designing is a challenge to translate my creativity into products and concepts with added value. I want to make things better, more handy, or more fun with my designs. 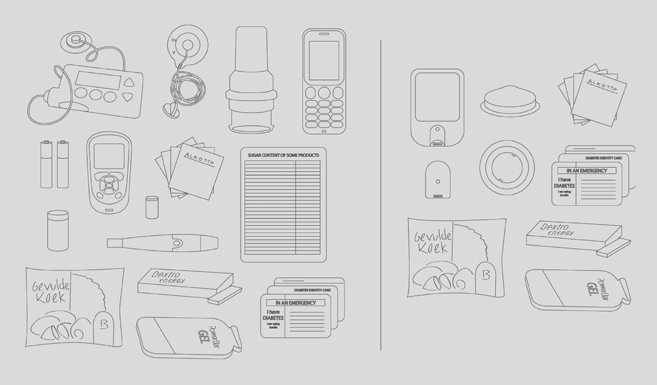 I have a preference for social themes: it’s great when design can really help people. 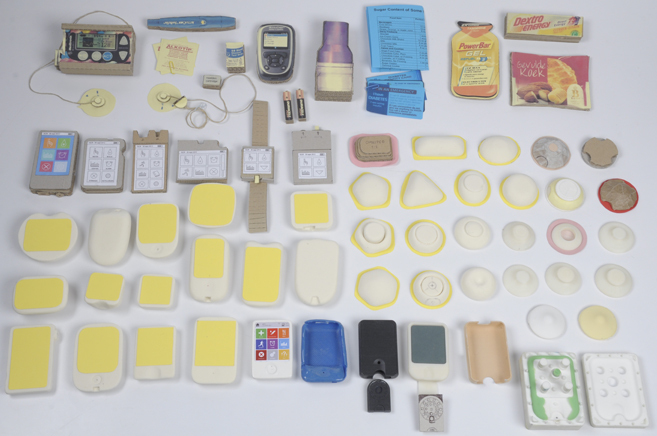 I believe -for example- healthcare needs designthinking to come up with fresh ideas, designed with the user in mind. I hope to inspire this industry with my ideas. Sometimes with big concepts, sometimes a small change can do a lot allready. My designs are not about me or my personal style. It’s about the final user of the product. What are his needs and requirements? Every project needs another approach. I believe that empathize with the target group you are designing for, is the most important in the design process. Then you can come up with something really useful. In my design process I look with a critical eye to everything I do. Keep it simple, is the secret: all things you do should be well reasoned. A modern appearance of the design is important, so people really want to use/ have it. Next to that I try to search for a nice twist that makes my design different from other products. For large images, please send an e-mail to mail@melchiorvanvoorden.nl.